I was eating breakfast with ohiophotgrl girl this morning and when she went to the rest room I met some new friends. 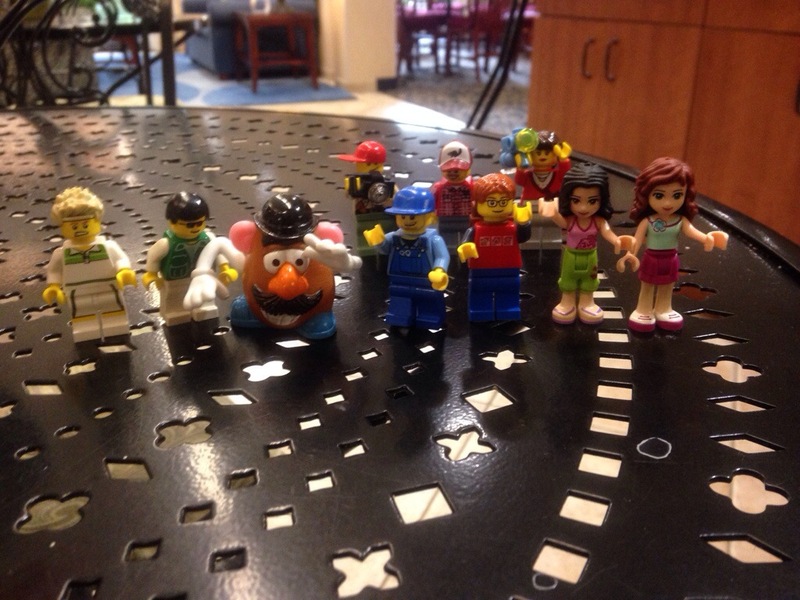 Meet the Lego family. I asked them to join me on an adventure. Wonder what were gonna do, today, tomorrow, and who knows for how long? This entry was tagged adventure, blog, breakfast, friends, fun, kid friendly, legos, Mr. Potato Head. Bookmark the permalink.